IF THE END OF YOUR EXHAUST PIPE IS 32MM or less THIS WILL FIT! IF IT DOES NOT FIT OR IS TOO TIGHT - WE OFFER A FULL NO QUESTIONS ASKED REFUND UPON RETURN. 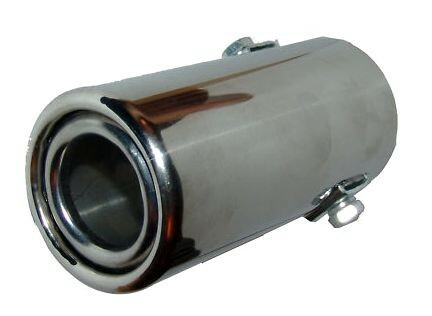 WE ALSO HAVE A BIGGER ONES WHICH FITS up to 62MM EXHAUST PIPES! COMES WITH BOLTS ATTACHMENT (SUPPLIED) AND TAKES 5 MINUTES TO FIT!